What's the secret success of Mint? She currently serves on the advisory boards for Mission Research, Nickel Tour Productions, Transpond, and TypePad, and co-manages STIRR Pitch Lab. Christine has previously served on the Nonprofit Technology Conference (N-TEN) and Web 2.0 Expo advisory boards and Alonzo King’s LINES Ballet Board of Directors. 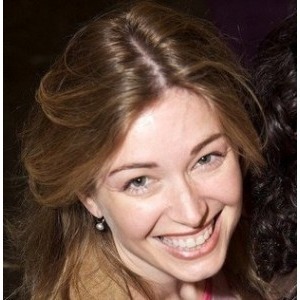 She has spoken at numerous industry events including DEMO, FOO Camp, mesh, MIT/Stanford Venture Lab, NetSquared, SVASE, TechCoire, Web 2.0 Expo, and Web 2.0 Summit. Christine was mentioned in a VatorNews article "Video: Investing in categories no one is paying attention to"
Christine was mentioned in a VatorNews article "See how the Post Seed Conference played out on Twitter"
Christine was mentioned in a VatorNews article "Video: What Unicorns looked like at Series A/ Post-Seed"
Christine was mentioned in a VatorNews article "Every unicorn needs a nemesis"
Christine was mentioned in a VatorNews article "How to be an early-stage investor"
Christine filled out investment critera.